“How did we get into this mess? 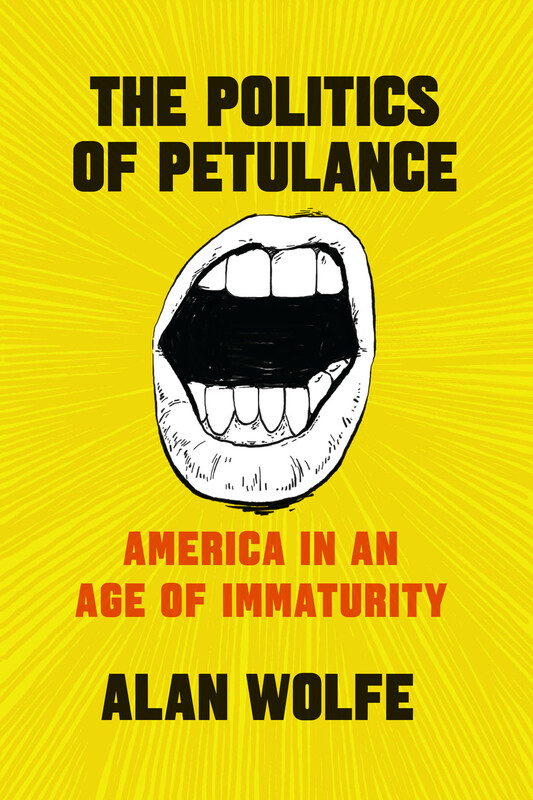 Every morning, many Americans ask this as, with a cringe, they pick up their phones and look to see what terrible thing President Trump has just said or done.” Those lines are stolen directly from the opening of the jacket copy for Boston College political scientist Alan Wolfe’s new book The Politics of Petulance, which just published this October. And they now seem more appropriate than ever. With the Mueller inquiry rapidly decreasing the degrees of separation between individuals who have already been indicted, and members of Trump’s inner circle, including the President himself, institutional corruption and the unraveling of the electorate’s faith in the modern democratic system are topics now making front page news on an almost daily basis. But while the headlines might seem to implicate the Trump administration in particular in the current state of affairs, in the New York Times Book Review, Norman J. Ornstein offers a review of two new books from the University of Chicago Press that take a deeper look at the issue, teasing out the historical, cultural, and institutional trends that the authors argue are the real culprits responsible for “what ails America.” Ornstein’s review offers a nice summary of both . . . The story of the evolution of life on earth is an incomplete one, with many ellipses in the narrative of how simple organisms, some of which seem like little more than spontaneous experiments in organic chemistry, somehow grew to become the massively complex organisms that we see around us today. Interestingly, one of the gaps that has both confounded and fascinated scientists the most is the origin of the vertebrates—the origins of us. Over the past few decades there has been an abundance of research done on the subject, so much so that distilling it into a clear picture of our current understanding of the subject could be a daunting task. 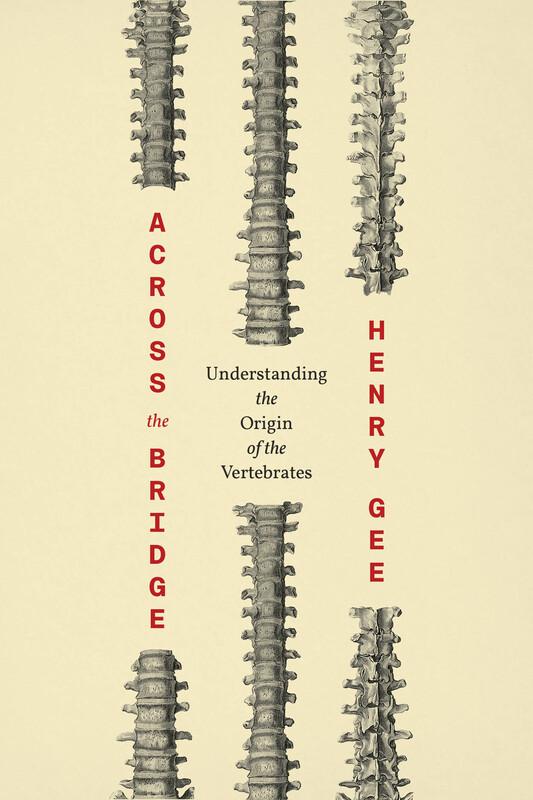 Though daunting it may be, there is perhaps no one more suited to it than paleontologist and evolutionary biologist Henry Gee, whose new book, Across the Bridge: Understanding the Origin of the Vertebrates draws on his many years as senior editor at Nature to comb through the research to help us to see how far the field has come in crossing the invertebrate-to-vertebrate divide—and how far we still have to go. But you don’t have to take our word for it. A recent review penned by one of Gee’s . 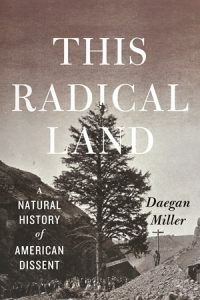 . .
Daegan Miller’s new book This Radical Land has been receiving strong praise for its unearthing of forgotten nineteenth-century stories of American dissent and environmental awareness. Kirkus Reviews wrote: A debut book that ranges across disciplines and decades to connect the natural environment–especially long-lived trees–to a scathing critique of American-style capitalism. Alternating abstract theory with impressive research, both bolstered by extensive sources . . . the author builds his case about understanding American history by examining destruction of the environment through essays grounded in the 19th century. . . . He offers an eclectic education often marked by soaring prose. A reviewer for Pacific Standard, meanwhile, praised Miller’s “interpretive brilliance and gorgeously crafted prose” and called the book “one of the most elegant and insightful examples of environmental writing I’ve seen in many, many years.” We asked Daegan to take time out from his daily routine of work, reading, writing, running, and raising a family to answer a few questions about the book and the stories it tells. This Radical Land maps a number of little-known stories of nineteenth-century America. Which one—if any of these—set you off on the project of the book? And how . . . Obvious to anyone who’s ever passed through the city, Chicago possesses one of the richest architectural heritages in the country, rivaled only perhaps by the oldest and largest of the metropolises on the eastern seaboard. This remains true despite a period in the later part of the twentieth century when many of its most distinctive buildings succumbed to neglect or the wrecking ball. Today, one of the last places to witness these lost architectural masterpieces is in the collection of renowned architectural historian David Garrard Lowe. Recently donated to the Art Institute of Chicago’s Ryerson and Burnham Archives, the collection is now on display weekdays through June 15, 2018. According to the Art Institute website, the exhibition highlights a selection of images, architectural plans, and other ephemera from the collection’s “approximately 1,100 objects dating from the 1880s to 1980s including residences, office buildings, hotels, schools, clubs, transportation, infrastructure, . . . in Chicago which have been greatly altered or are no longer extant.” Germaine to the Art Institute’s exhibition, Lowe’s 2010 book Lost Chicago also draws from his vast collection to showcase hundreds of rare photographs and prints which, accompanied by Lowe’s crisp and lively prose, . . .
Monday Tuesday is the 2018 season home opener for the Cubs, and still riding high on 2016’s Series win, fans are expecting another post-season winning team with a better-than-good chance of making it all the way. Today’s Cubs team has a deep roster of better than average players, and a coach that has been masterful at coordinating their varied talents, but of course this hasn’t really been the case for quite a while. There was a time though, a long, long time ago, when the Cubs of old looked a lot more like the team does now. Rather than a team chocked full of All-Star prospects though, a small cadre of elite players, Joe Tinker, shortstop; Johnny Evers, second baseman; and Frank Chance, first; came together in rough-and-tumble early twentieth-century Chicago to form the defensive core of the most formidable team in big league baseball. A team that would lead the Chicago Cubs to four National League pennants and two World Series championships from 1906 to 1910. 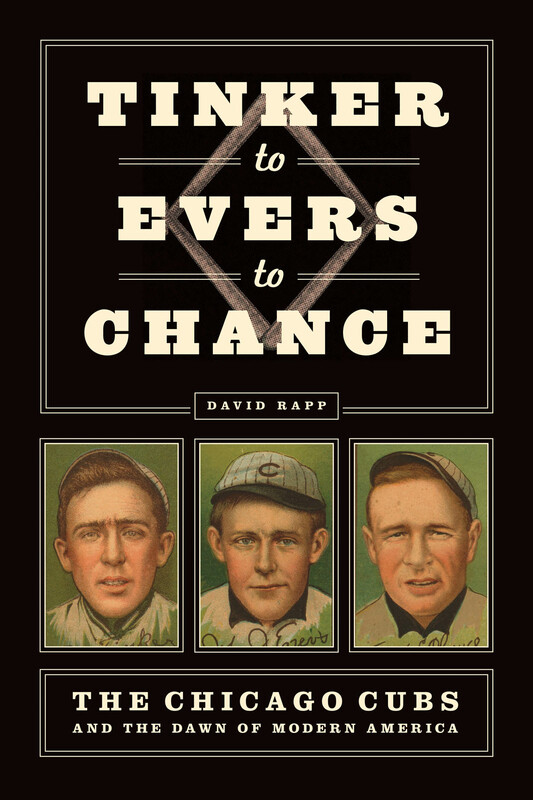 In Tinker to Evers to Chance: The Chicago Cubs and the Dawn of Modern America David Rapp brings this storied episode in Chicago Cubs history back to life, situating these early glory-days of . . . It has generally been assumed that the process that could transform this: into this: was a drawn-out evolutionary slog, taking many generations of human-canid interaction to achieve. 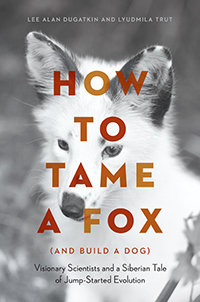 But as Tim Flannery notes in a recent review of several new titles on the subject for The New York Review of Books, Lee Alan Dugatkin and Lyudmila Trut’s How to Tame a Fox (and Build a Dog): Visionary Scientists and a Siberian Tale of Jump-Started Evolution offers a fascinating look at the groundbreaking discovery that revealed that the process of domestication, once thought to have taken thousands of years, could be compressed into decades: “Profound insights into how dogs evolved from wolves come from a remarkable, multidecade experiment on foxes that was carried out under the supervision of the Russian geneticist Dmitri Belyaev from the 1950s onward. … Belyaev’s experimental method was simple in the extreme. Out of the thousands of silver foxes held at a fur farm, he simply selected for ones that were calmer than normal in the presence of humans. After just a few generations of selective breeding, some offspring of these slightly tamer foxes started to seek out human company. Breeding these individuals produced foxes that showed changes . . .
Tales of expeditions to the farthest reaches of the globe by intrepid scientists and explorers in search of undiscovered species that inhabit it have always captivated the public’s imagination. Take, for example, the apparent popularity of the David Attenborough-themed raves currently taking the UK by storm, featuring episodes of Planet Earth II and Blue Planet II set to samples of the 90-year-old biologist’s narration (as well as some of today’s hottest dance tracks). But while the BBC’s premier nature documentaries might make the work of today’s biologists seem like a neverending jungle adventure, as a recent Wall Street Journal review of Christopher Kemp’s new book The Lost Species points out, in recent years some of the most fascinating new biological discoveries were actually made by researchers working behind the scenes, sorting through vast collections of zoological specimens stored in the the drawers and cavernous basements of natural history museums. 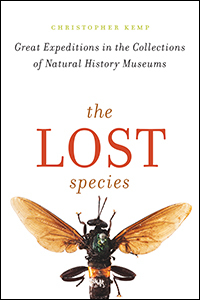 As Kemp’s book explains, for decades after their collection, specimens housed in museum archives can remain incorrectly categorized, or not categorized at all–not only due to the sheer size of some of these collections, but also the complex detective work that must go into proper taxonomic classification. 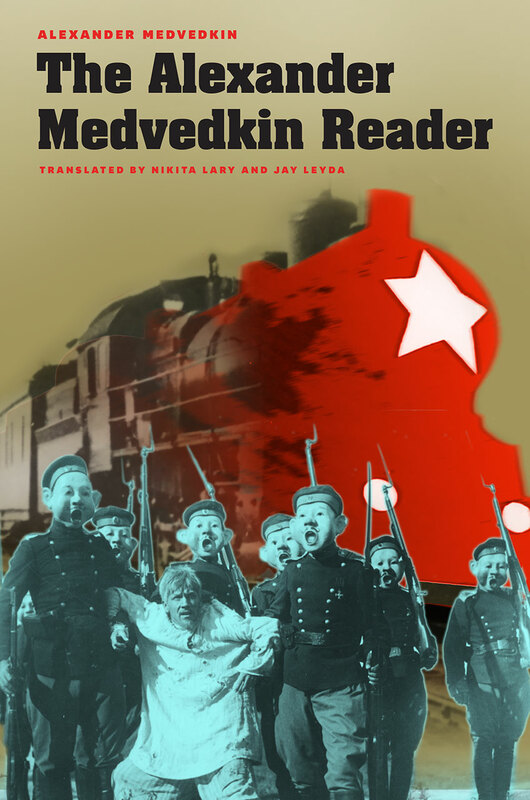 David MacNeal writes for . . .
Donald Trump takes the podium outside the Capitol Building to be sworn in as the 45th President of the United States–freeze frame, record scratch, cue up the intro to that one song by The Who, and a narrator chimes in: “Now I bet you’re wondering how we ended up here?” Flashback to a bunch of seasick Europeans disembarking from their ship on the eastern shores of the new world–to the surprise and perhaps amusement of some of the locals who are just out for a stroll. And so begins the first volume of our magisterial new two-volume history of the United States, Building the American Republic. Okay, that’s not really how it starts–but it totally should be if anyone ever wants to option the television rights! Right now though you can see how the books really begin yourself by downloading the e-books of both volumes at buildingtheamericanrepublic.org absolutely free. With the need for an informed electorate more clear now than ever, these books, written by two of the foremost experts on American history working in the field today, are an indispensable asset in understanding America’s past and present, and what can be done to guarantee its future. At a time when knowledge . . .